EWG's 2012 Sunscreen Report now online. No doubt, you’ve heard that you have a skin type. You may think you have dry skin, oily skin, or combination skin. Many people suffer with sensitive skin. Daily use of irritating ingredients in your favorite skin care products, such as sodium lauryl sulfate, could be a contributing cause. Symptoms of sensitive skin can vary from mild rashes, itching, acne, flakey skin to red patches appearing on your skin. If you have sensitive skin, taking care of your skin the right way involves much more than searching for the most expensive products on the market. The truth is that most of the popular and expensive skin care products are not only costly, but also filled with irritating chemicals and toxins. 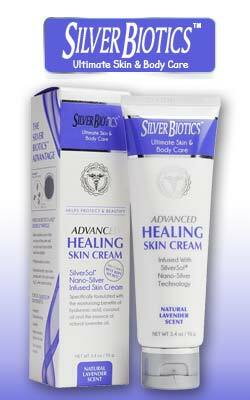 Your whole body can be affected by sensitive skin problems. When searching for skin care products that won’t irritate your skin sensitivities, it’s important to choose soothing products that will keep your skin free from irritation. As more people are realizing they have sensitive skin, they are searching for sensitive skin products. Sodium lauryl sulfate (SLS) is a strong industrial detergent that can be found in many skin care and personal care products. Cleansers, soaps, body wash, shampoos, bath products and toothpaste are only a few examples of where you will find it. It’s mostly used as a foaming agent. However, there are studies that report about the harmful properties of SLS to the skin. It is an irritant that can cause dryness, itching, and other possible side effects that may be detrimental to your health. Of course, it’s common sense that detergent use would cause some level of dryness and irritation. Some claim it may cause cancer, but this is a false claim. Most commercial toothpaste, including natural ones contain SLS. Two studies found a possible connection between SLS and canker sores. In general, you may be better off choosing cleansers, shampoos and toothpaste with SLS free formulas. It’s important to note that your skin is the largest organ in the body, and whatever goes on your skin, goes in your body. Drug patches for pain, birth control, and tobacco cessation are just some examples of how your skin can absorb what is put on it. Plant extracts and essential oils are also high in salicylic acid. Most people think any product with the word “natural” on the label must be safe. Drugs are derived from medicinal plants. Most plants do have side effects, and can be dangerous when used daily, without understanding the context of its properties. Many skin care products include salicylic acid to help reduce inflammation. But if you don’t have inflammation, using a product with salicylic acid may not be the best for you. Similarly, toothpaste may contain antimicrobial and antibiotic ingredients to combat gum disease. If you don’t have gum disease and are using these types of ingredients on a daily bases, the Center for Disease Control warns you may be asking for trouble and building a resistance to antibiotics. When you really need to take antibiotics for infection, they may not be effective. Our bodies are strong when healthy and can sustain occasional attacks. But with repeated abuse, healthy skin can weaken and appear dull and unhealthy. If you have sensitive skin with signs and symptoms of skin problems such as itching, discoloration, pigmentation, and acne, it can be difficult and expensive to experiment with different brands. Instead of buying based on what’s written on the label, choose products based on safety and gentleness of ingredients. Minimize direct exposure to sun. Wear a hat and natural, safe sunscreen with zinc oxide. Use hydrating moisturizers free of salicylic acid and herbal extracts. Eat healthy foods and decrease amounts of sugar intake. Follow a simple cleansing routine with SLS free cleansers and soaps. A gentle exfoliating scrub can remove dead cells and help grow healthy cells. A good facial mask used weekly can add needed minerals and nutrients to your skin for silkiness and smoothness.